6 days away from the big celebrations and its time to wrap the gifts and get them under the tree! 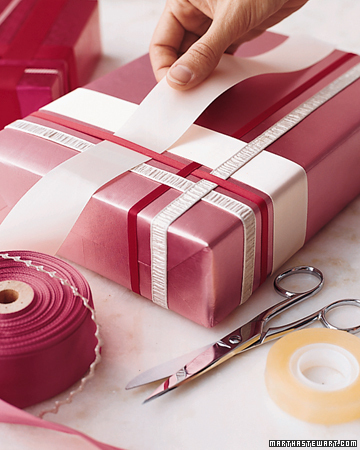 Here are a few gift wrapping techniques! 1) Rustic wrap! – I love this look, understated but extremely beautiful, with hints of green and red it gives off that traditionally festive feel and is extremely easy to do! 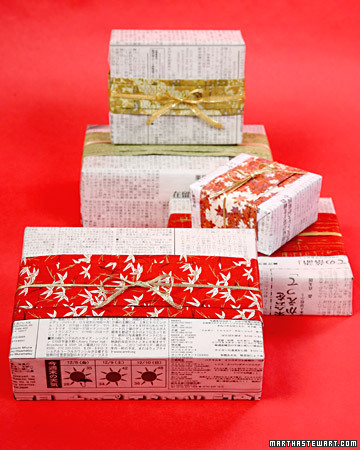 2) The Japanese newspaper wrap – Extremely eco-friendly and perfect for secret santa gifts! 3) Woven ribbon wrap – My favourite look! 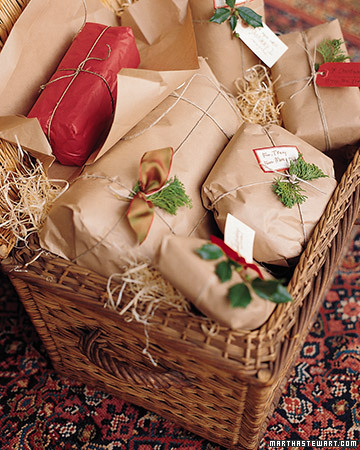 If you have the patience this wrapping technique looks gorgeous, plus you can colour co-ordinate it with your Christmas tree decorations to make an extravagant statement look. Well however you wrap it up remember it isn’t just about the gift wrapping it is also about the gift! 😉 Send us any other ideas you have and photos of all your beautiful wrapping!